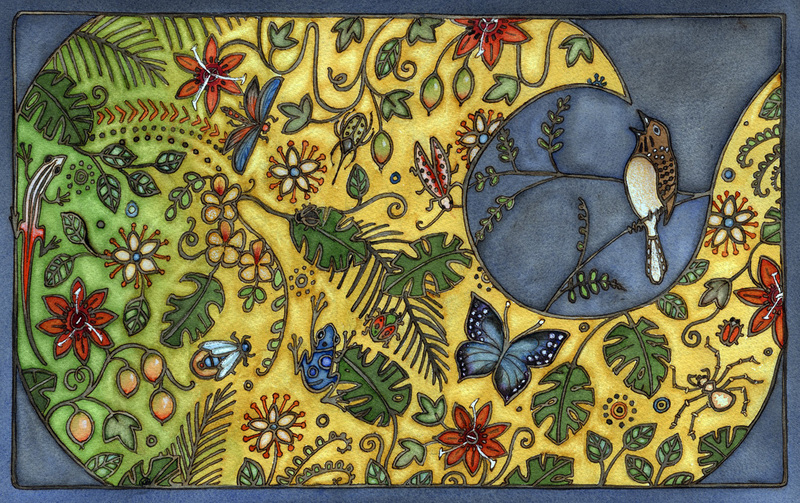 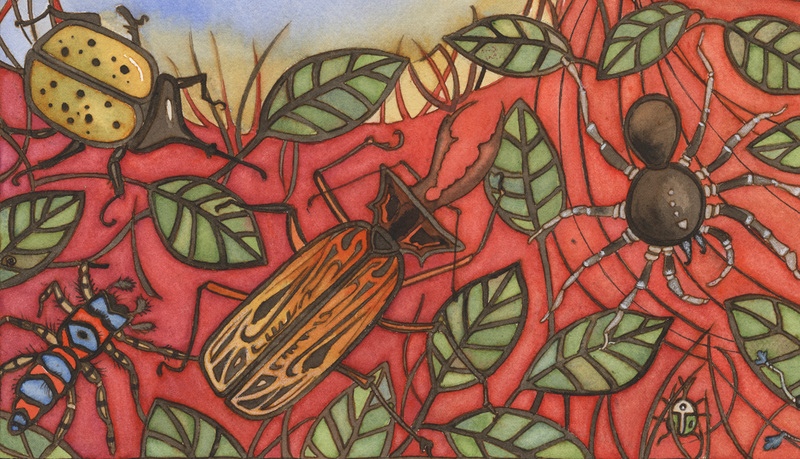 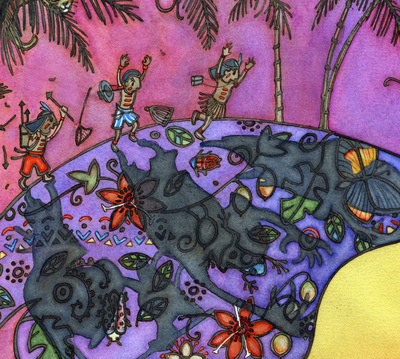 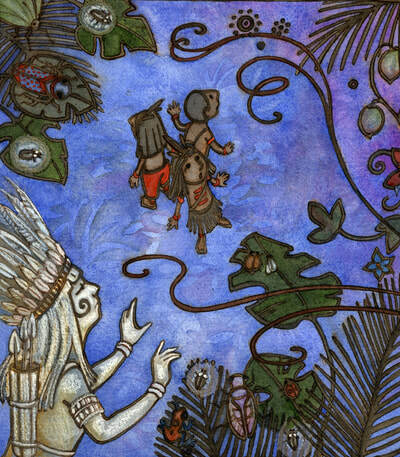 Page detail from 'Uirapuru" showing endemic flora and fauna from the Brazilian rainforest. 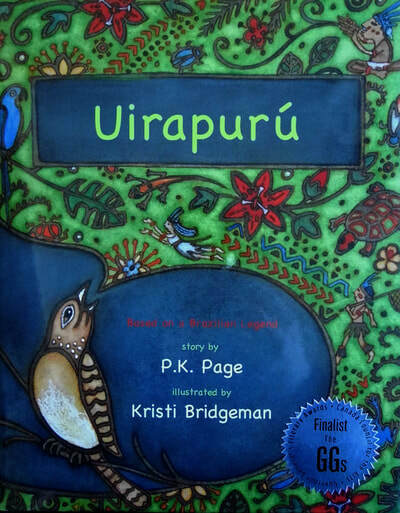 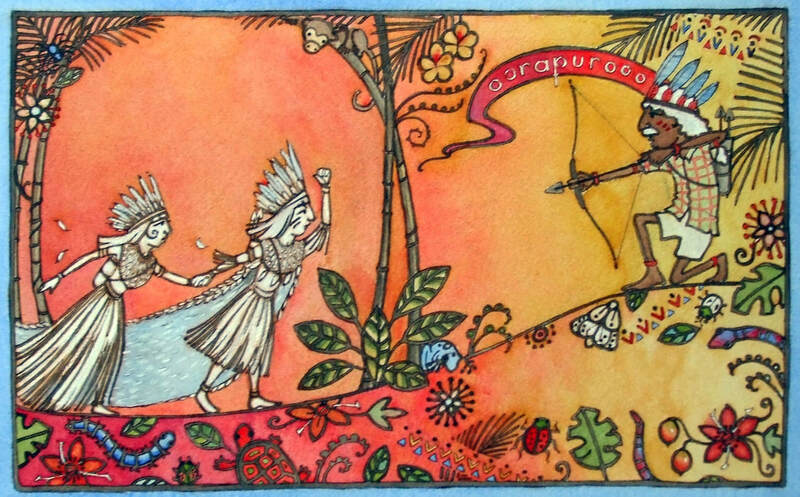 Page detail from "Uirapuru" by P.K Page. The shadows cast by the young hunters - reminiscent of imagery from 'Where the wild things are' by Maurice Sendak. Detail from "Uirapuru" by P.K.Page. The creatures themselves were quite easy inspiration for the illustrations!